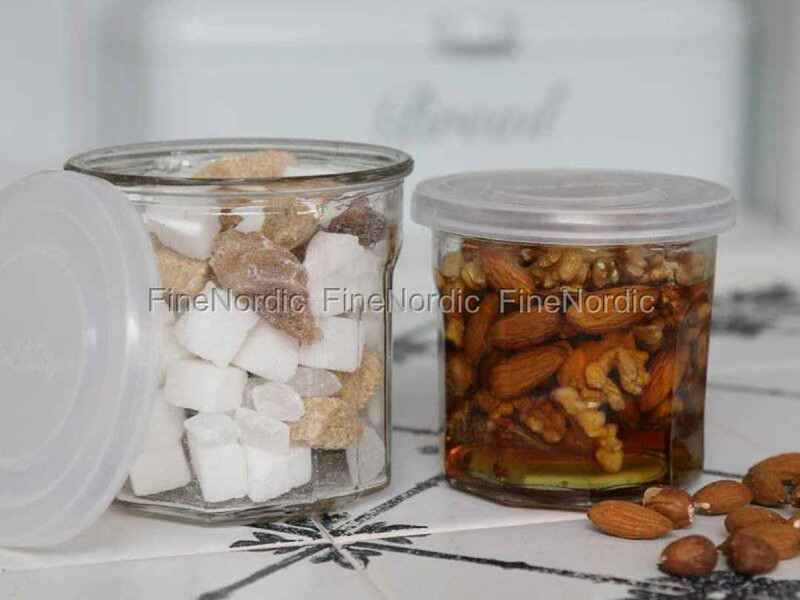 The French jam jar with lid is an attractive and practical storage jar and also gift jar, because not only supplies can be stored in it. You can also fill it with some homemade goodies and use it as a hostess gift or as a little surprise for the helpful neighbor. The glass is 10 cm high and has a diameter of 9 cm and thanks to the lid, the contents will be safely stored. The French jam jar is available in different sizes in our web shop.